Is Air Travel Bad for Your Heart? It’s become such a hassle to fly that it makes perfectsense to hear that air travel is bad for your heart — but this particular warning has nothing to do with the stresses of late flights and airport security or even the likelihood that you’ll get exposed to illness from a fellow flier. No, this is different — and it’s important. A recent study from the Harvard School of Public Health found that some people may unexpectedly experience cardiac arrhythmia — extra heartbeats — while flying. The study brought together 39 men and women (average age was 63), one-third of whom had been diagnosed with heart disease. Over the two-day study period, they each spent two five-hour sessions in a hypobaric chamber — one session simulated atmospheric conditions at sea level, while the other session created the air pressure conditions you would experience in the cabin of a jetliner flying at 20,000 to 40,000 feet. The participants’ heart rates were monitored during both tests. Those without heart disease were unaffected, but among those with heart disease, six people experienced arrhythmias… though, interestingly, none were aware of the extra beats. Dr. McNeely pointed out that the available data document very few in-flight medical emergencies, so the overall risk that this will happen is quite low. 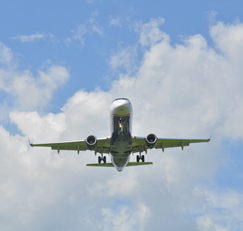 However, it’s worth noting that there’s no research available that follows the health of air travelers after they’ve landed, so we don’t know whether passengers have medical issues later that are connected to arrythmias that occurred in the air. Dr. McNeely thinks that it is important to learn more about physiological changes people experience while flying to ascertain whether there are specific dangers that warrant taking precautions — or even, for vulnerable people, not flying. Drink plenty of fluids — Drink lots the day before you fly and during your flight. Dehydration can make you more vulnerable to cardiac problems. Avoid alcohol for the same reason. Get plenty of rest. Try to get as much rest in the few days before your flight as you can. In other words, don’t run yourself ragged getting ready with the idea that you’ll get to catch up on sleep once onboard. Avoid long walks through the airport. Take the in-airport shuttle so you don’t wear yourself out before your flight. Ask your cardiologist whether you should bring supplemental oxygen or a portable oxygen concentrator on board. Under a doctor’s supervision, consider regular supplementation with L-carnitine and Co-enzyme Q-10. Both of these can limit the ill-effects of decreased oxygen delivery to the heart.